In this first post in the “Reflections” series I’m going to explain what is the purpose of the series, talk about the reasoning behind revisiting old projects and finally applying it all to a small but fun piece of code. This series will be about reviewing my github projects. 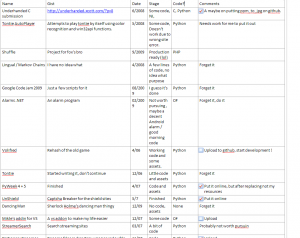 This serves the dual purpose of having at least 10 topics for blog posts and writing documentation for old projects in the hopes that someone else finds them useful or interesting. 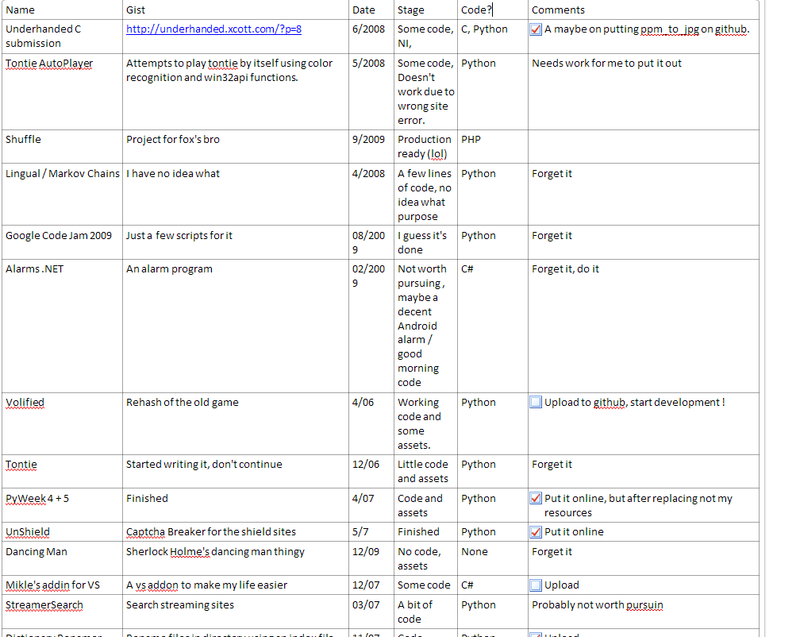 About a year ago I’ve decided that I must do something about the tens of “side projects” that I have from more than 5 years of coding. I quickly triaged the list of about 25 projects into ‘forget’ or ‘open-source’ and just threw everything presentable with a really minimal readme to github. Code isn’t as find-able as text. To make this code useful, it needs to be at least somewhat documented. When I uploaded them I half assed a read me file but I doubt that is enough for a search engine to index it correctly. I think most of the projects has something unique to add to the web and are interesting both at the code level and in the research that brought them to life. Revisiting old projects will give me a nice nostalgical feeling. Did I mention 10 easy blog posts? What am I going to cover? The why – The research that went into the code. Since most of the projects are a Proof of Concept (POC) I think it will be interesting to remember what started that particular train of thought. The how – The parts of the code that do interesting stuff and how do they do it. The what now – Maybe a paragraph or two about how the project can be productized or improved and where can it evolve from here. To finish this intro I want to talk about a small but fun hack I did when I got my first Android phone. It was the happy era of 2.X Android and I got a HTC Desire from England. It was right about that time that they announced that next version will be out in a month (Haha, I still believed OTA promises) and will have Hebrew support. That meant that I had a month where my phone didn’t have the Hebrew language font and most importantly I couldn’t read any SMS. Since the phone was new I didn’t want to experiment with rooting just yet, I needed to find a clever solution. One of the first apps I installed on the phone was the Android Scripting Engine (also known as Scripting Layer 4 Android, unfortunately development looks pretty dead now, although it works on my Galaxy Nexus) since I hoped there would be a way to write real apps with it. Unfortunately it was quite minimal, but one thing it did have is a way to get your SMS. That meant I could write a simple script to transliterate Hebrew Unicode into English (ASCII). The code itself is very straight forward. It is only a few tens of lines, and there is pretty much no reason to ever use it again, but I think it represents why I like the Android – it has more of a “hacker” spirit than the iPhone. The only interesting thing I see in the code is that the sign for NIS and the u2029 whitespace in the translation dictionary. I guess I started manually adding characters in an attempt to map Unicode to ASCII. Finally I gave up and added the error parameter to encode that puts a “?” character for every Unicode code point it can’t print.